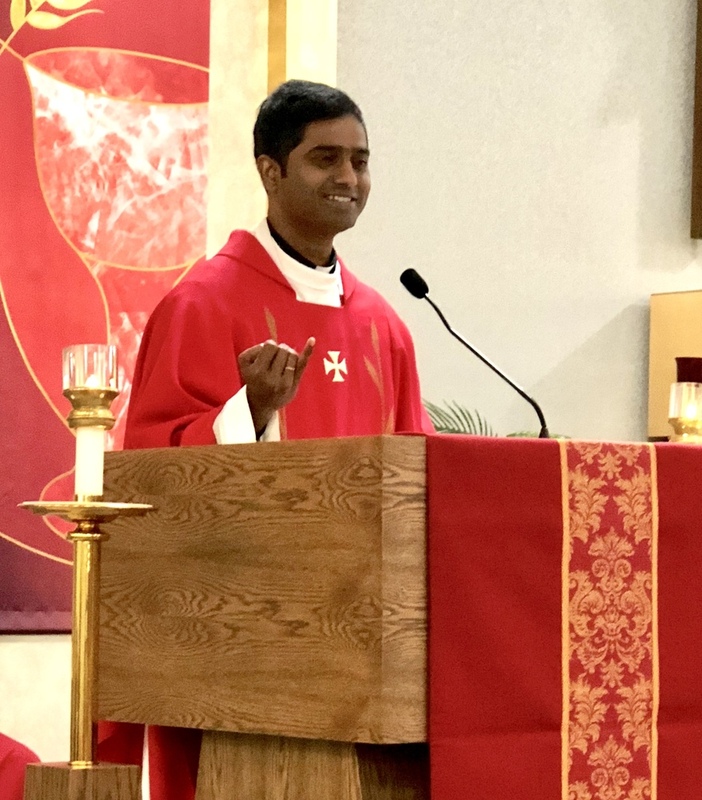 Father Chandra spoke at Mass about the Passion of St. John the Baptist. He asked the students if they knew the principals in the story of his martyrdom? These included King Herod, his wife Herodias, and her daughter Salome. At a celebration of Herod's birthday, Salome did a dance that so pleased the King he promised her whatever she should ask for. After consulting with her mother, Salome said she wanted the head of John the Baptist on a platter. Herod granted her wish and John the Baptist, who had been imprisoned for proclaiming the truth, "gave his life for truth and justice," Father Chandra said.